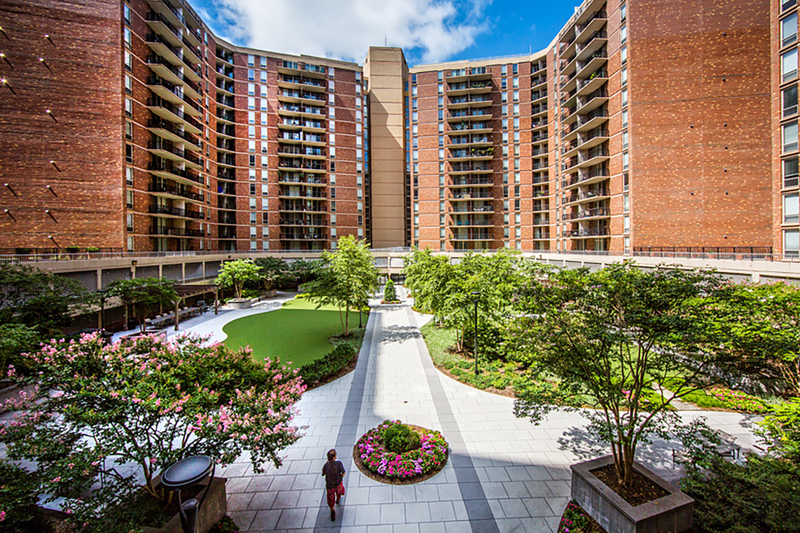 The Point at Silver Spring is a 1.4 million square foot full service apartment building located in Silver Spring, MD. The building was originally built in 1967 and has undergone several renovations and additions. When looking at the building, it has 16 stories above ground, 891 apartment units, 14 retail space surrounding the perimeter of the ground level, and two levels of above ground and two levels of below ground parking. The Point has changed ownership several times over the years, and Pantzer Properties recently purchased the building within the last five years. Work with onsite building staff and outside vendors to create Site Management, Green Cleaning, and any other necessary polices for the building to help give them a road map for implementing the green initiatives and ensure meeting the necessary credit thresholds to achieve the LEED points. Develop tracking infrastructure and provide training and additional information to building staff regarding the importance of the tracking to demonstrate that the policy implementation and meeting required credit threshold to demonstrate compliance, but additionally how it aids in tracking building operations for preventative maintenance and ensure optimal building performance. Implemented a Green Education and Occupant Engagement plan to help engaged building Residents to help educate about the LEED process and progress of the building; as well as, introduce initiatives that they can partake in to help improve building operations such as reducing water and energy consumption, using green cleaning products, reporting maintenance issues, etc. Monitor credit progress and provide guidance to building staff to ensure the desired level of certification is met while balancing other resources such as dollars invested and time invested to ensure optimal return on investment.